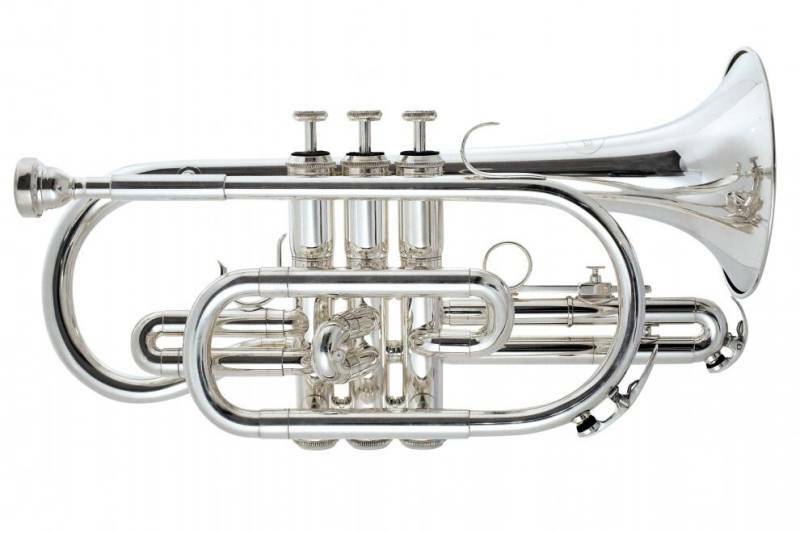 Quality free-blowing, well balanced student cornet, designed to be comfortable for the younger player whilst offering a full sound with good intonation and easy response. These cornets are crafted from the highest quality materials to meet the demands of all student players in terms of both durability and artistry. Ideal for beginners. Traditional short model with shepherd's crook. Adjustable finger ring on 3rd valve slide. Thumb hook on 1st valve slide. Precision stainless steel centre sprung valves. Hand forged braces for stability.